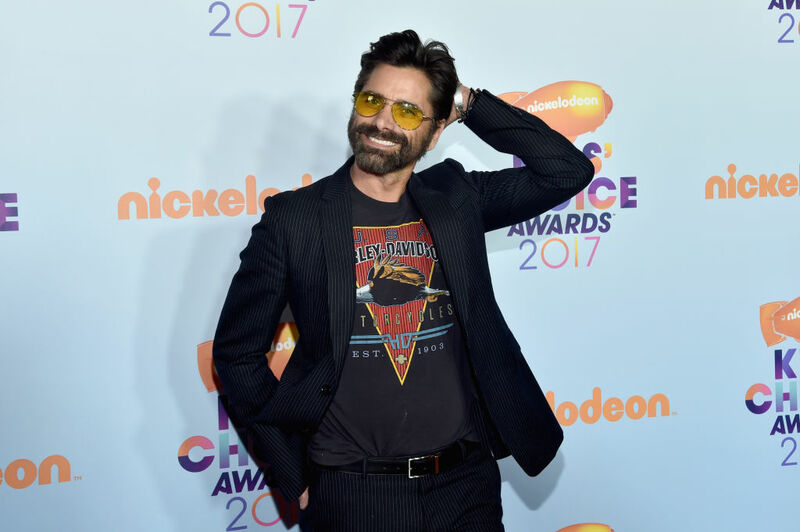 John Stamos is *still* making our hearts flutter more than 20 years after "Full House"
OK, we know it’s not good to objectify people for their looks but Uncle Jesse, er, John Stamos is making our hearts flutter after all these years. 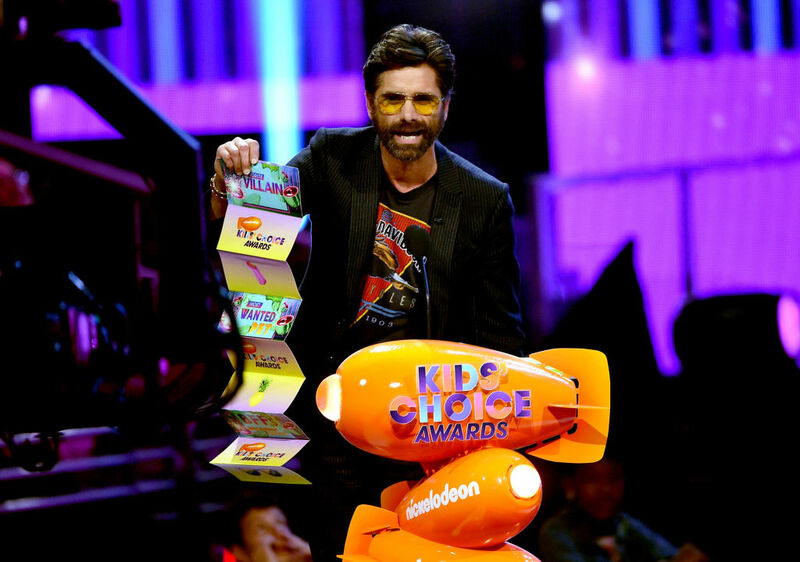 It’s been more than 20 years since he starred in our favorite TGIF sitcom, but last night at the Kids’ Choice Awards, it was as if nothing had changed. He’s still charming and handsome, and these days is also sporting a serious beard. He attended the awards show in full John Stamos wear, complete with a scruffy beard and a Harley Davidson T-shirt under a black, pin-striped suit. Stamos also rocked some tinted sunglasses, because he can obviously do whatever he pleases. 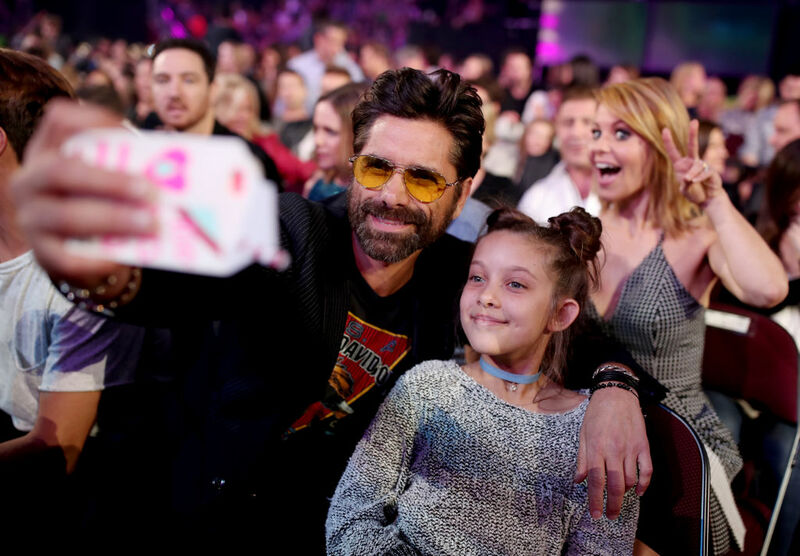 The Fuller House actor was on hand to accept the “Favorite Show” award with the rest of the Fuller House cast, including Candace Cameron Bure and Jodie Sweetin, who was on crutches after trying to climb a fence last month in an attempt to retrieve her daughter’s toy. Sounds like the Fuller House cast’s IRL life imitates their art. But back to what really matters: John Stamos being totally dreamy. Stamos made dreams come true when he took photos with fans. He presented the “Most Wanted Pet” & “Favorite Villain” awards. And he proved he’s still got major swagger. In addition to his Fuller House role, Stamos recently starred in the comedy series Grandfathered, though it was cancelled late last year (a downright shame). Fortunately, the cancellation meant that he could dedicate more time to the Fuller House reboot, acting in three episodes in the second season and producing all 13. He even joked to E! News last year that he was also going to start working for craft services on set. Har, har. "Sometimes you're the bug and sometimes you're the windshield. 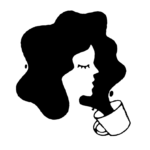 I've had an embarrassing amount of ups in my life and career — I can certainly deal with a few downs. I'll miss my adorable [Grandfathered] cast and seeing what journeys our characters would have traveled. Although, I'm thinking about presenting seasons 2 and 3 in the form of puppetry at Knott's Berry Farm. Come out and see me sometime!" Oh, Uncle Jesse and his bad dad (uncle?) jokes. With the success of Netflix’ Fuller House and that never-fading head of hair, we have no doubt that Stamos will make another comeback soon. Or just keep showing up to awards shows looking like a rockstar. We’re not complaining either way.